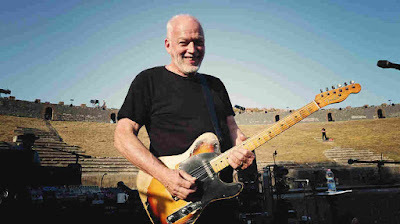 David Gilmour is streaming a preview clip of Pink Floyd’s 1973 classic, “Us And Them”, from his “Live At Pompeii” concert film ahead of its release in various formats on September 29. The second single from Pink Floyd’s “The Dark Side Of The Moon” peaked at No. 72 on the US Cash Box Top 100 Singles chart in March of 1974, while the project went on to become one of the biggest-selling albums in music history at more than 50 million copies worldwide. Directed by Gavin Elder, “Live At Pompeii” features Gilmour’s 2016 concerts at the ancient Roman amphitheatre built in 90 BC. Available on 2-CD, Blu-ray, 2-DVD, 4-LP, deluxe Blu-ray box and download, “David Gilmour Live At Pompeii” will debut in more than 2,000 cinemas worldwide on September 13.